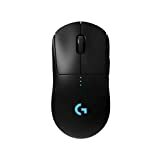 Designed over two years with direct input from many professional esports players, Logitech G PRO Wireless Gaming Mouse is built to the exacting standards of some of the world's top esports professionals. PRO Wireless gaming mouse is purpose-built for extreme performance and includes the latest and most advanced technologies available. Featuring LIGHTSPEED technology, PRO Wireless overcomes the limitations of latency, connectivity and power to provides rock-solid and super fast 1 mms report rate connection. PRO Wireless gaming mouse is also equipped with the next-generation version of the HERO sensor. HERO 16K is the highest performing and most power-efficient gaming sensor that Logitech has ever made for pixel-precise targeting in fps and mob games. 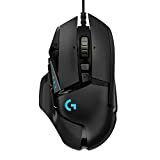 An incredibly lightweight endoskeleton and ergonomic design improve maneuverability and comfort while removable side buttons and programmable LIGHTSYNC RGB lighting give you the ultimate in mouse customization. RUNMUS gaming headset equipped premium 50mm dynamic audio driver that offer player 360-degree full range sound field. It hugely augment immersive aural experience, makes player become a hero like in the real battle field. You can hear your enemies before they see you, and make out their position by the sound direction. 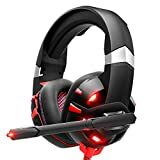 RUNMUS gaming headset is compatible with PS4, PS vita, PSP, Xbox One (Adapter Needed), Nintendo Switch (audio), Nintendo New 3DS LL/3DS (audio), Nintendo 3DS LL/3DS (audio), Windows PC, Mac OS PC, iOS device and Android device. Just plug and play! 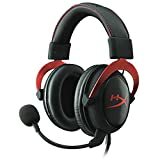 You can enjoy immersive surround sound in gaming right away. 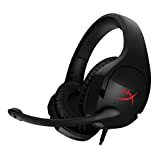 RUNMUS gaming headset provides high clarity sound communication for player and filter most background noise at the same time. Every voice command would not be missed with this sensitive microphone. You can also rise up the mic when you don’t need it. When you turn on the microphone, LED light will on Simultaneously. 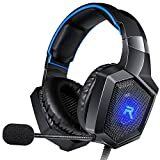 Blue LED light on both sides of RUNMUS gaming headset make it looks cooler and boost the gaming experience. 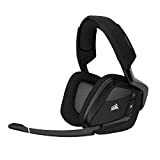 This headset will work with the Xbox One with headset adapter from Microsoft. It is not supported with the Xbox 360 or PS3.